[XPB-AU10-X] Diamond metal Ash Urn is fabricated in 11 gauge steel with a steel powder coated ashtray. 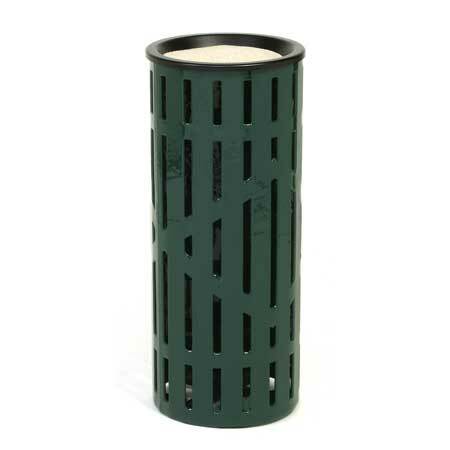 Ash urn body is covered in Thermoplastic, a durable weather resistant material and available in 16 color choices. Diamond ash urn comes pre-drilled with mounting holes for easy permanent installation. For shipping quotes, discount pricing, orders or questions please call our Customer Service Center at 1-877-483-9270.